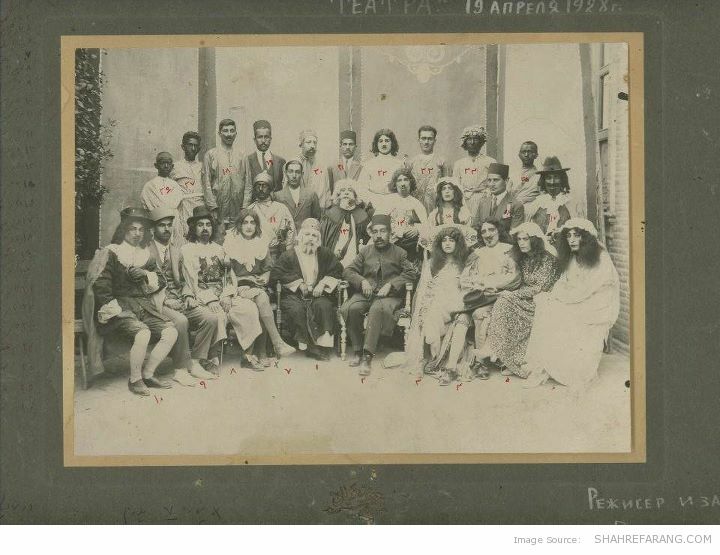 These photographs show one of the earliest performances of a Western-style play in Iran. 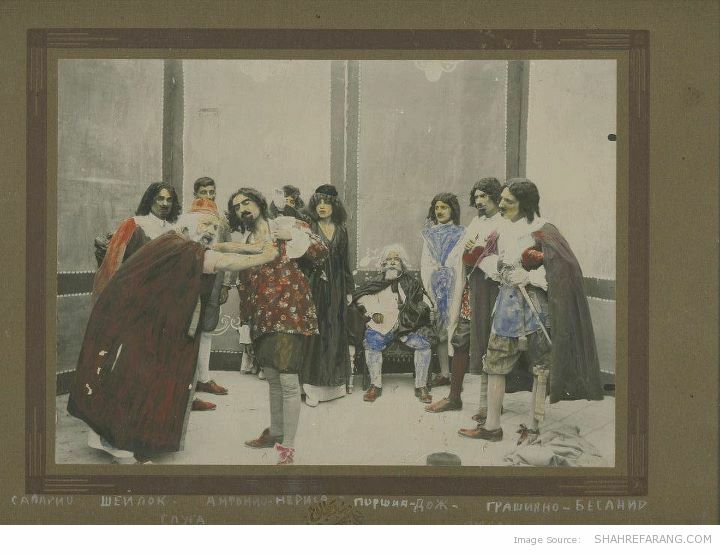 The play was Shakespeare’s The Merchant of Venice performed in Zoroastrians Club in Tehran , April 19, 1928. Majid Rezvani was the director. 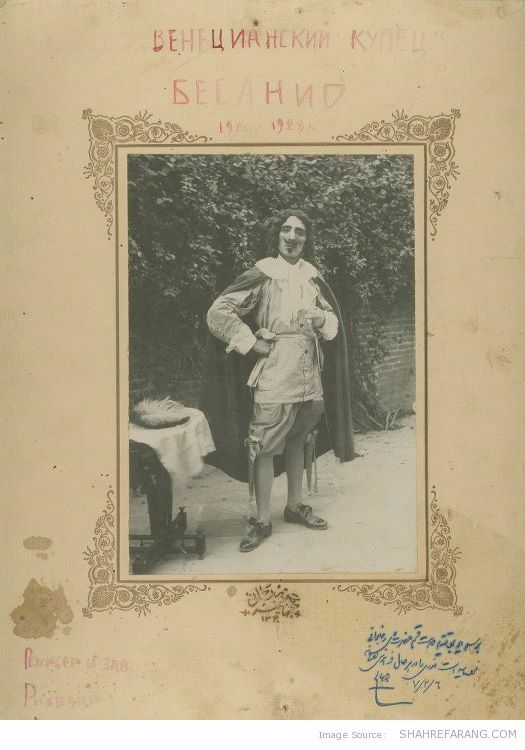 Arbab Aflatoon, a Zoroastrian, was the Merchant of Venice, and Kazem Bakhtiari acted as a female character. 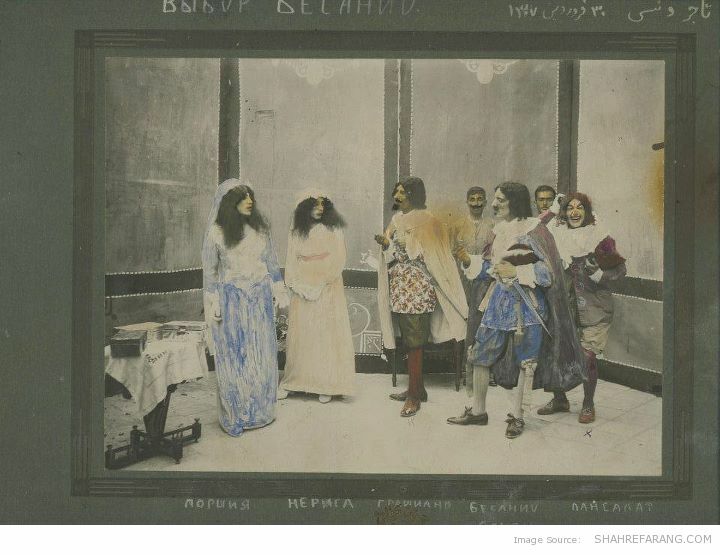 In those days the Iranian women still could not act in the plays yet. 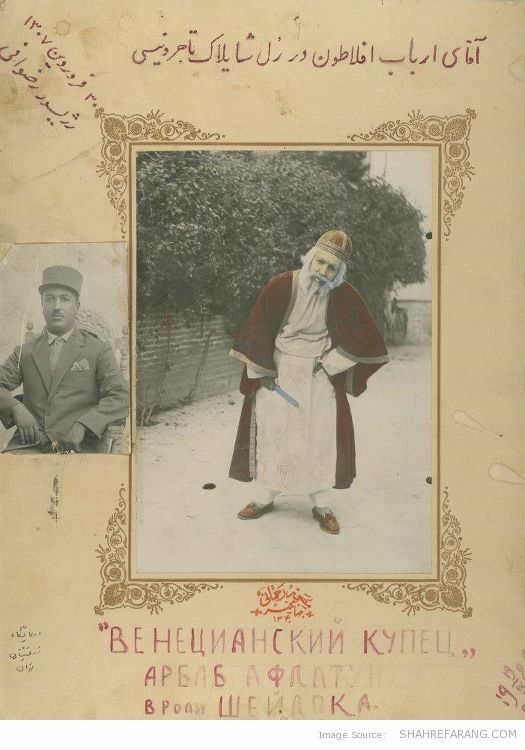 * Photographer: Jahangir Mossavar Rahmani- From the personal collection of Yadollah Rezvani.